Straight from the horses mouth, Paul Pattiwel van Wesrerloo – owner of the CrossFit Rewind box – gives the details into his box in the Netherlands. The most part of my life I have done Bodybuilding and running, but when I tried one of the nine fundamentals of CrossFit I couldn’t fix the movement due to immobilization. From that moment on I was eager to learn the movement correctly and from then on I was hooked! At the early age of 16 I always wanted my own gym no matter what and how, just to make people fitter and better. And when I was hooked to CrossFit and there was a possibility to become an Affiliate I was sold. I wanted to share others my passion with CrossFit and how it makes you better at all. Because we are one great community everybody knows each other. 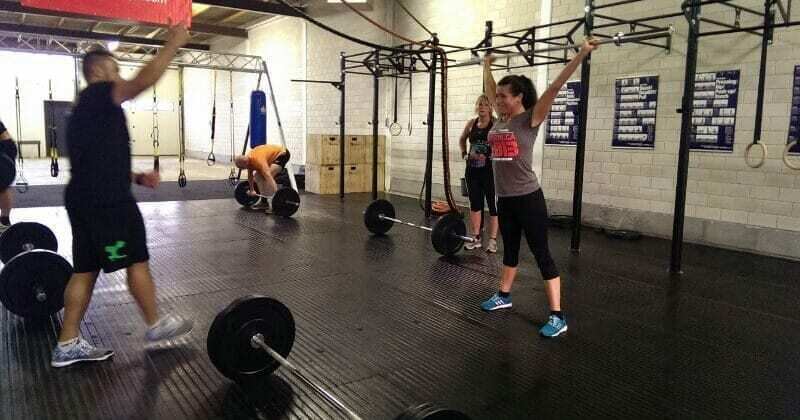 Our classes are not bigger than eight people, so you got our fully attention when we are hitting the WOD. Next to this community it is also a place for veterans who served and are serving in the military, police and fire department. Because I served in the Army for 16 years I wanted to have a place where those guys and girls could gather around and stay fit and stay prepared for the unknown. At the moment we have athletes with a variety from 17 years old to 50 years old, pretty divided in male and female. We have a couple competitive athletes for whom we have a special training programming. We have an option for TRX core training and Kettlebell training. Yes, we have an OnRamp manual where the basics of CrossFit nutrition is explained. And sometimes we schedule a nutrition seminar. We have six OnRamp sessions where you are to be teached about the nine fundamental movements of CrossFit. These sessions are mandatory before hitting any WOD. Next year we are planning to host for the CrossFit Games Open, Lowlands Throwdown 2014 and Battle of London. Off course we are still evolving for other competions. Holland isn’t a big country, there is always another box nearby! But the three boxes I do the most with are; The Box (Almelo), CrossFit Apeldoorn and Gym026 (Arnhem). This can be anything from organizing competitions to helping each other out for a workshop! Definitely! Everyone from around is welcome at our box, there just one thing and it’s to be sure that you are familiar with the nine fundamentals of CrossFit. Just send a mail to info@crossfitrewind.com if you want to join a WOD with us.